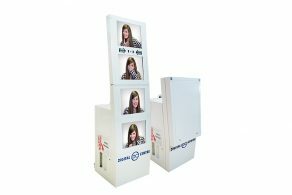 Photo booths are great ways to capture memories for a lifetime. When you pair the booth with different backdrops and props it really spices things up! These booths are AWESOME for weddings, and offer great take home souvenirs for your guests or for you! The best part is, they don’t have to be used at weddings, and are versatile with different backdrops for different events like backyard parties, birthdays or stag and does.